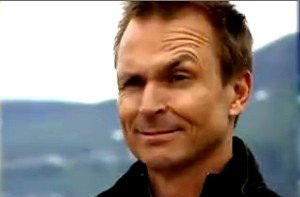 Previously on the Amazing Race, the elimination was telegraphed within the first ten minutes, thus sucking all drama from the episode. The viewers knew the outcome. The teams knew the outcome. Margie & Luke knew the outcome. It made the leg more fun for teams (save for the mother/son team) and entertaining to watch but not particularly compelling TV for a competition show. With the next leg appearing to remain in Sri Lanka, this leg should at least, have some actual racing to avoid last place. David & Connor: Father/Son (Team Murphy's Law). Jet & Cord: Cowboys/The Lone Rangers. Brendon & Rachel: Big Brother (Team Fetch). Jennifer & Caroline: Country singers. John & Jessica: Newly engaged couple. The Colombo Rowing Club is the scene of departure in the middle of the night and David & Connor leave first. The teams will be heading to the Dutch Museum and get their clue in the headstone room. Since it’s the middle of the night, I smell a clumping of teams coming. Proud papa David gushes about how he believes that Connor is the strongest physical competitor in the Race. While he demurely says his dad is biased, I have no familial allegiance to Connor and wouldn't really debate against daddy's assessment. Connor may not be not the strongest, but he’s definitely in the top three.